Crafting Creatures – Describe a unique species of bird that lives in ice nests. 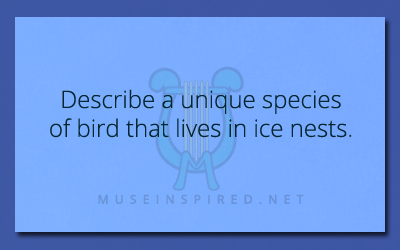 Describe a unique species of bird that lives in ice nests. Crafting Creatures - Create a unique creature that only lives inside dead trees. Crafting Creatures - Craft a herd animal kept for its milk.